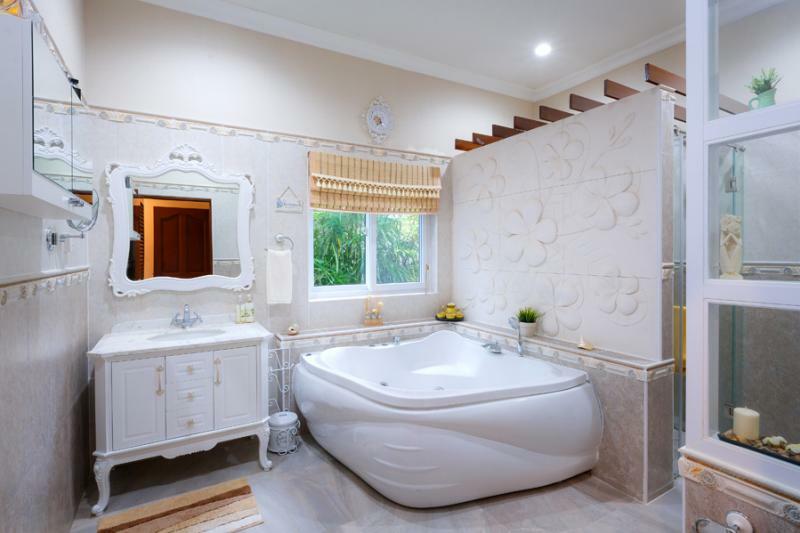 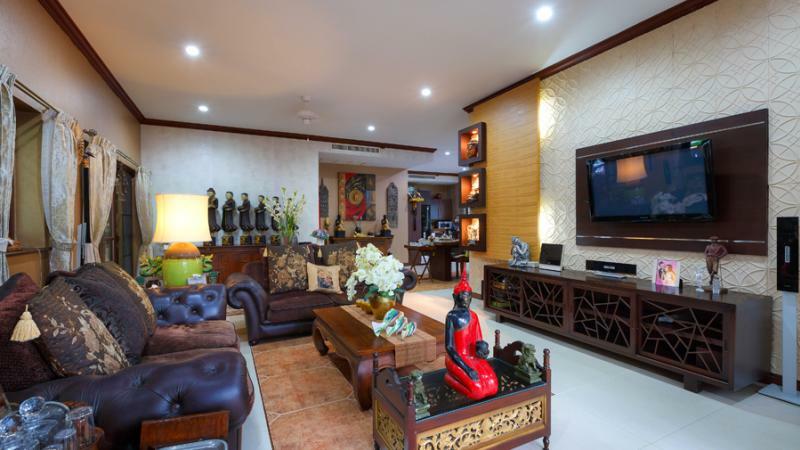 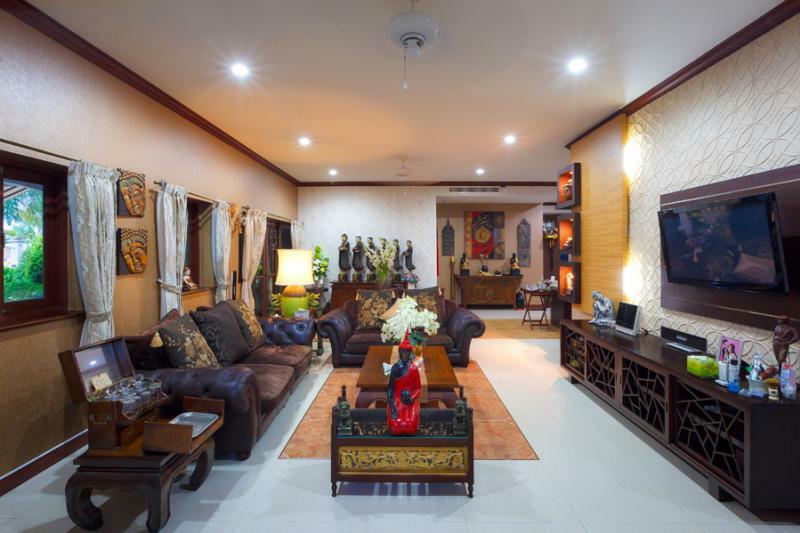 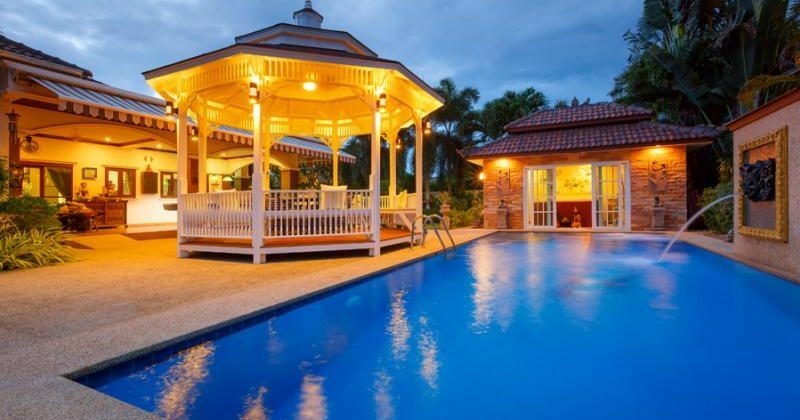 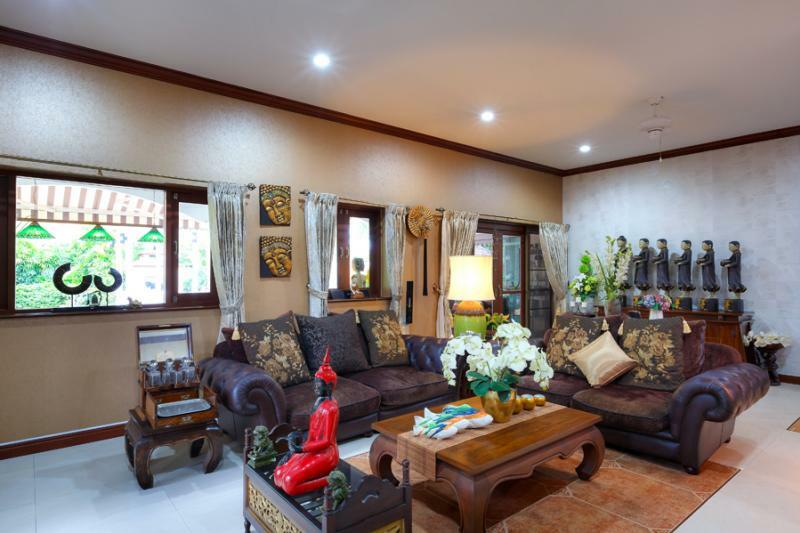 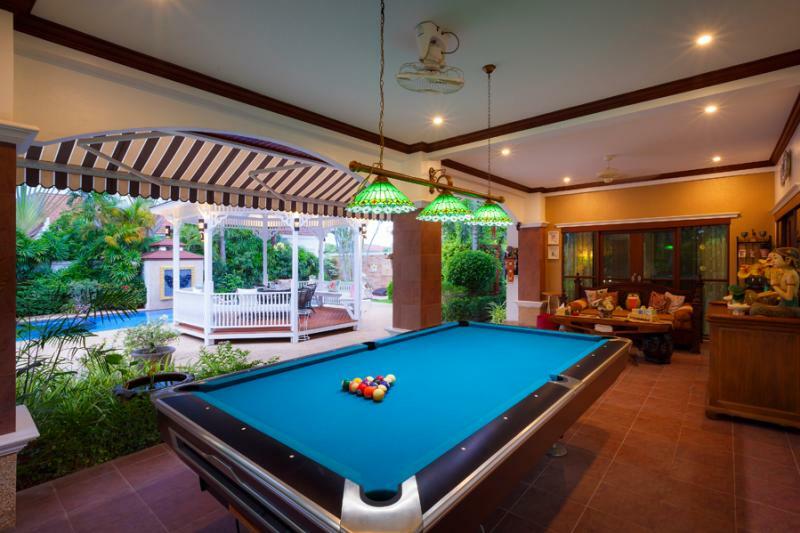 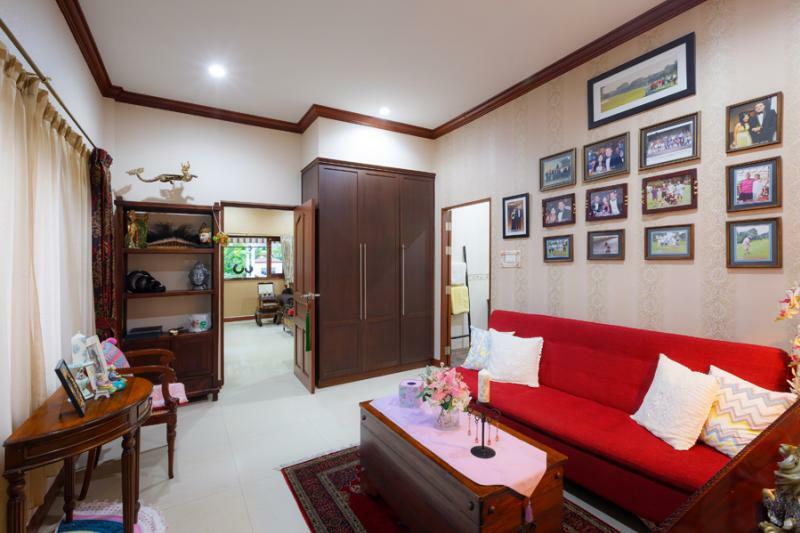 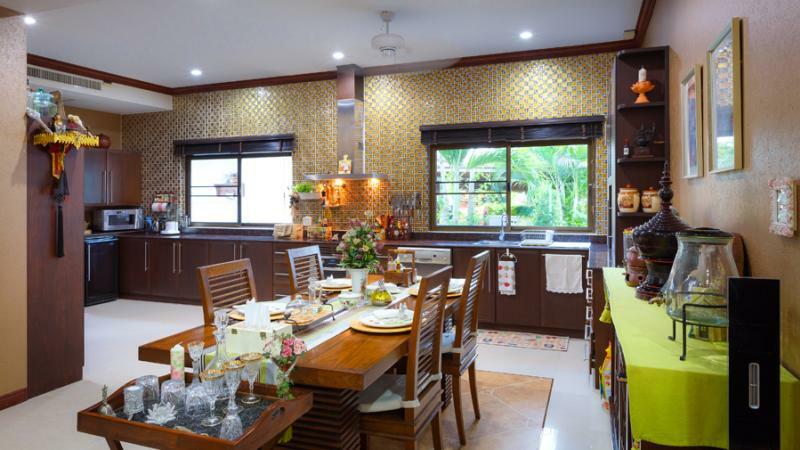 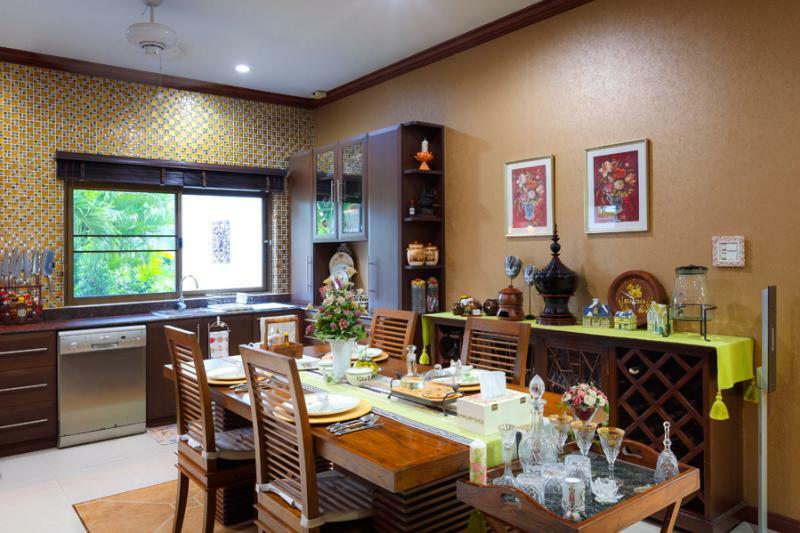 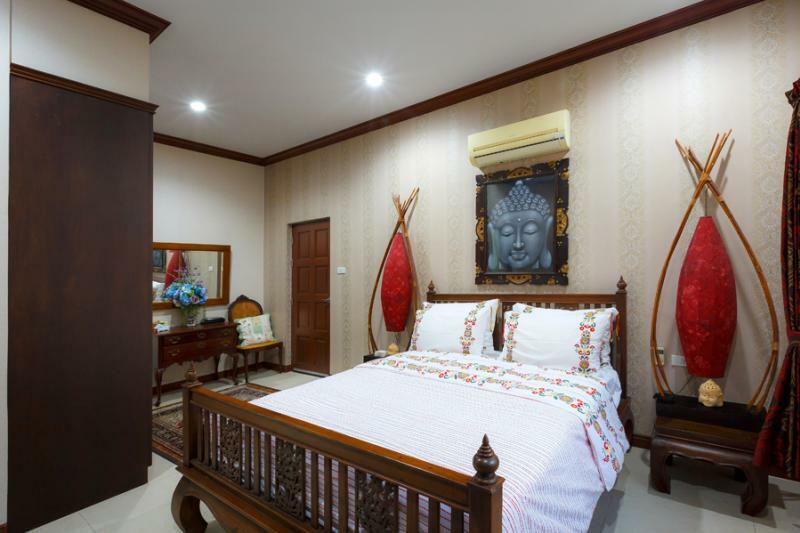 Located approximately 10 minutes west of Hua Hin in a fully completed development is this well-built 3 Bedroom 4 bathroom home. 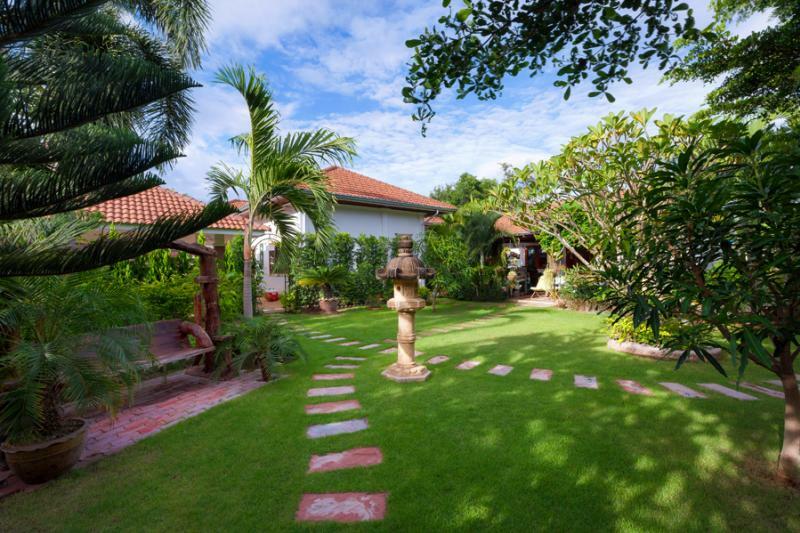 Sitting on a large land plot of 1,604 square meters of pristine gardens this home features special areas everywhere you look. 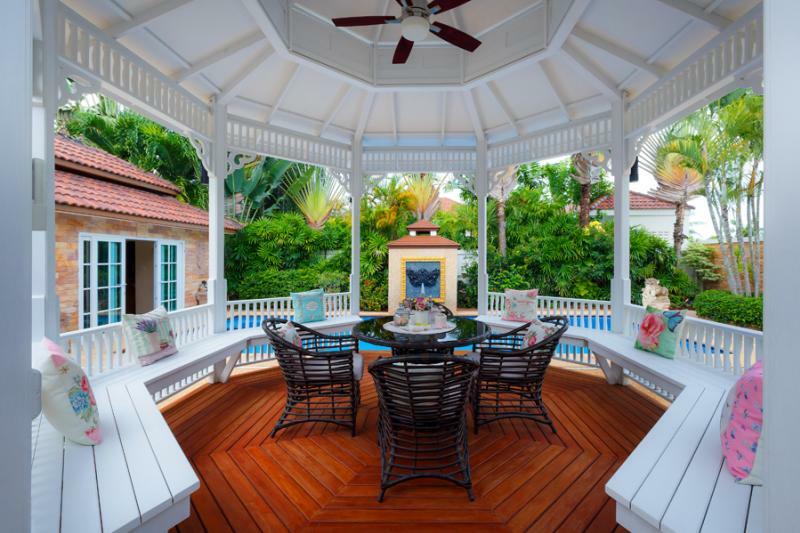 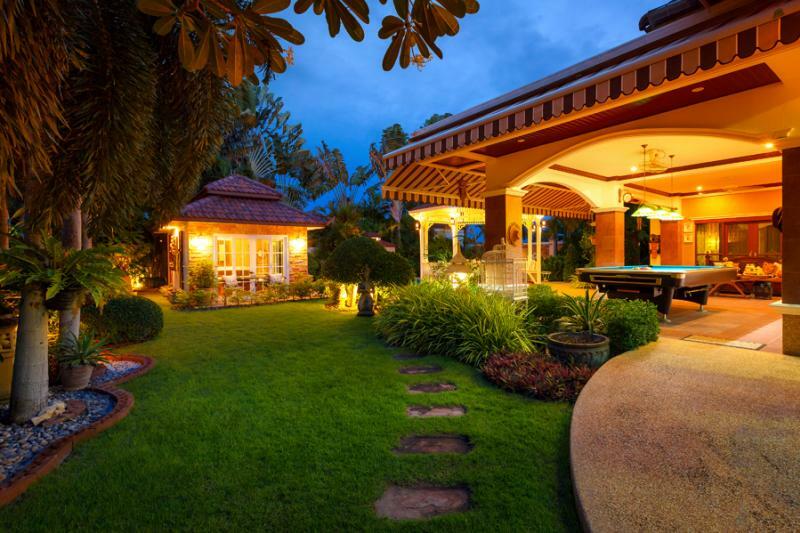 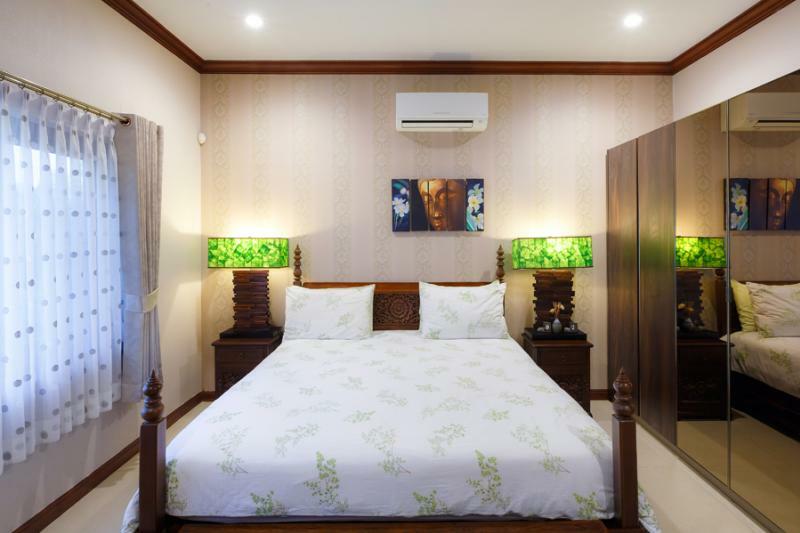 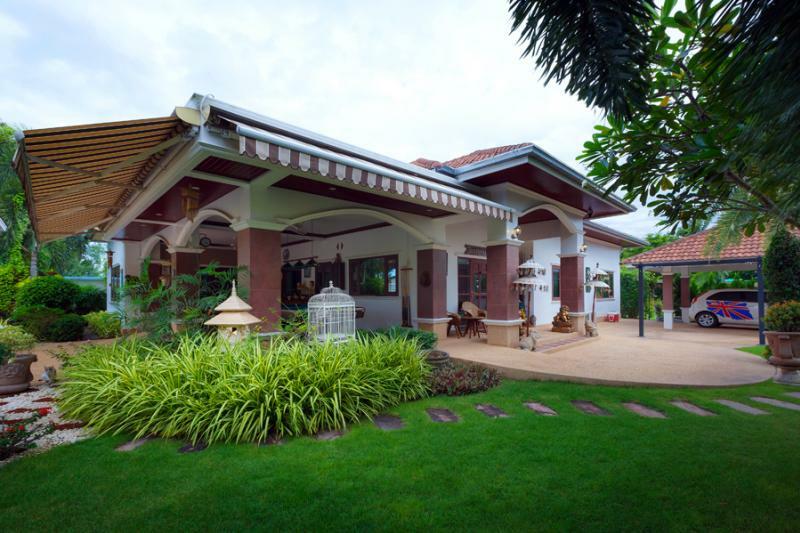 The Main House boasts 2 bedrooms and 3 bathroom’s, a large European Kitchen and lounge. 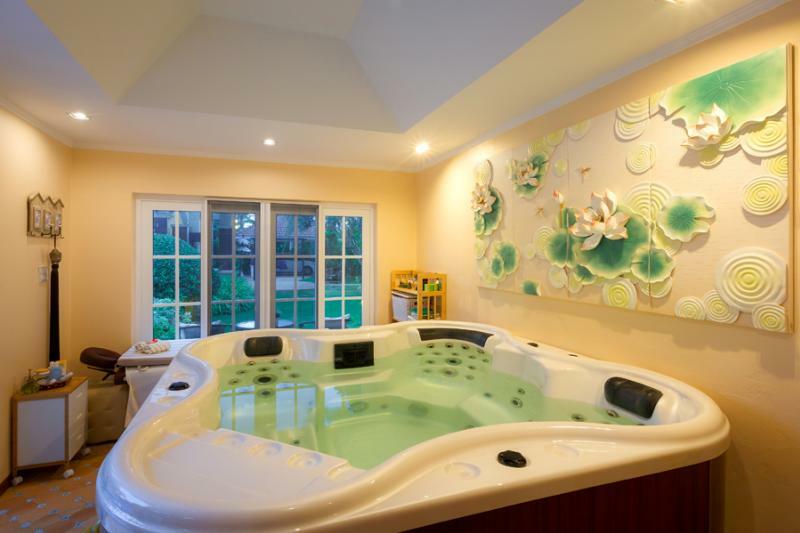 The master suite enjoys a walk-in closet and a double jacuzzi tub. 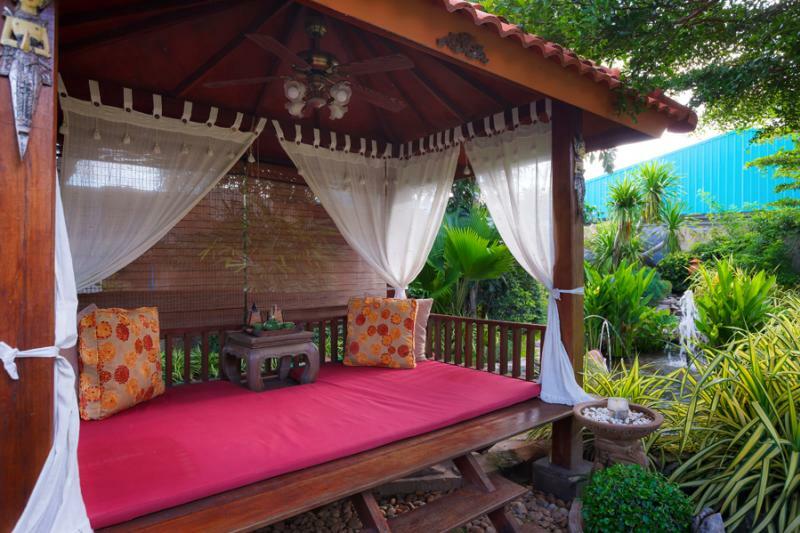 Outdoors there is a 4 X 4 meter one bedroom en-suite guest house which is currently being used as a spa room with large jacuzzi and massage table. 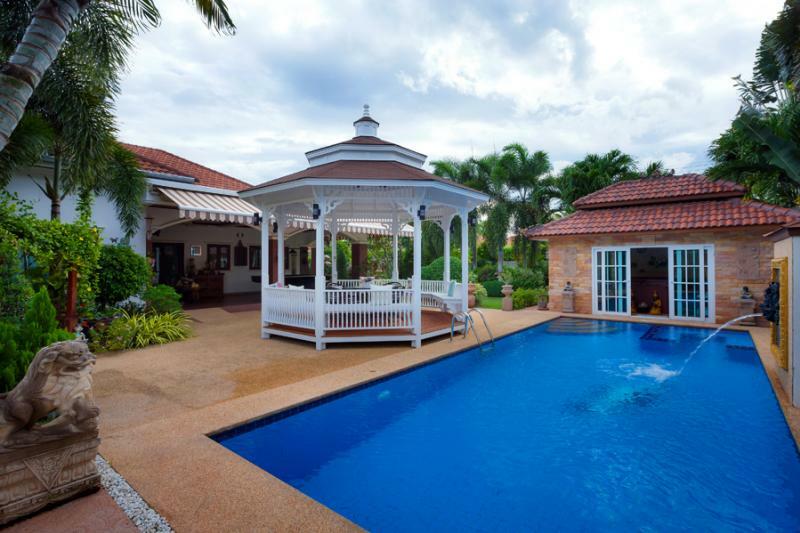 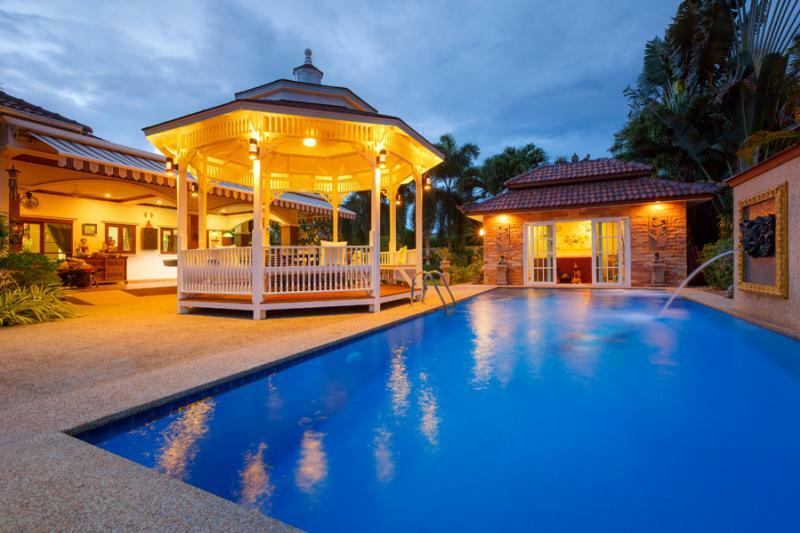 The property has several outdoor salas including 1 which overlooks the pool and 1 that overlooks the spacious gardens. 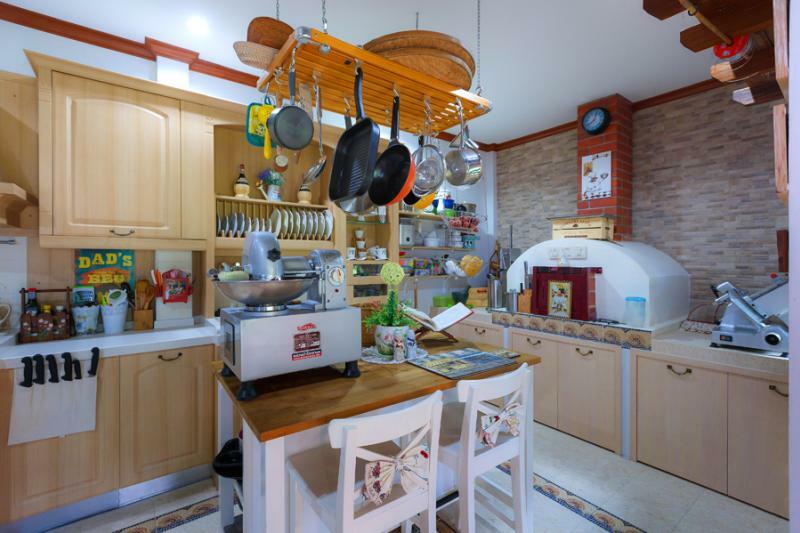 Another building contains a separate well equipped European kitchen with a wood fired pizza oven and an attached covered terrace for dining.